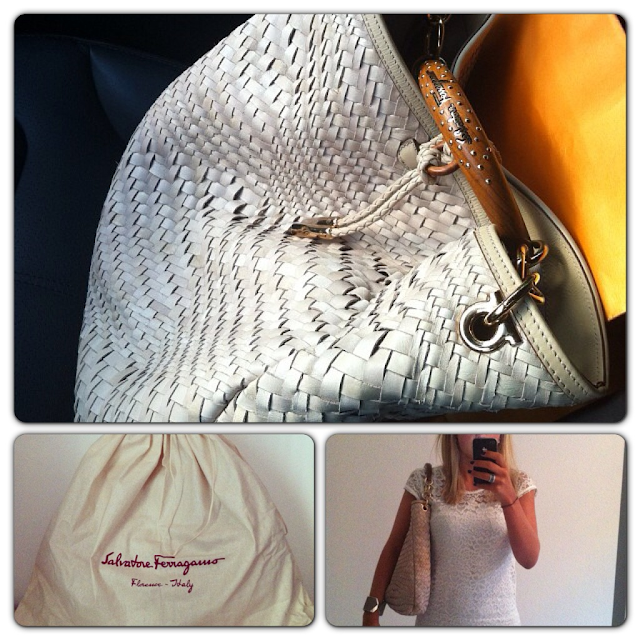 I love my new Ferragamo bag. I'm still searching a beige bag for a long time. However, I have never found a model that I like. The woven surface gives the bag a stylish sporty and elegant look, so I can wear it with an elegant dress or with jeans and shirt as well. I love the artful manufacture of the handle, which is provided with golden blanks and the Ferragamo lettering.